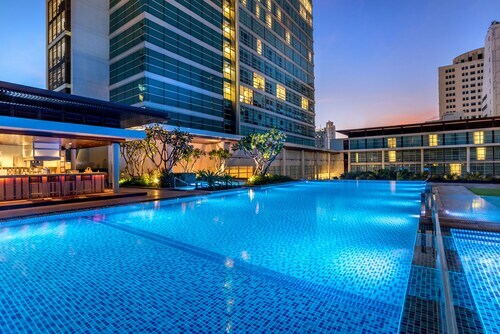 Located in Bangkok City Centre, this luxury hotel is within 2 mi (3 km) of Victory Monument, Pratunam Market, and Platinum Fashion Mall. 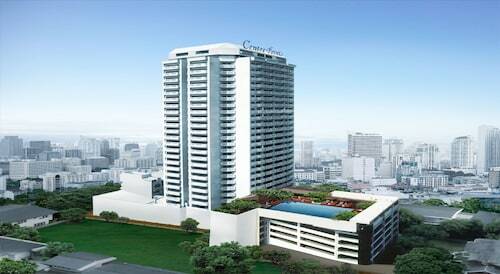 CentralWorld Shopping Complex and Pantip Plaza are also within 1 mile (2 km). Victory Monument BTS Station is 6 minutes by foot and Ratchaprarop Station is 11 minutes. 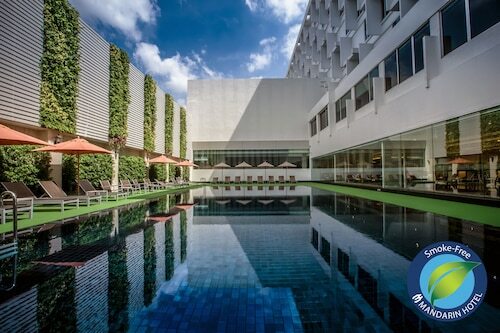 This family-friendly Bangkok hotel is located in the business district, just steps away from Pratunam Market and Platinum Fashion Mall. 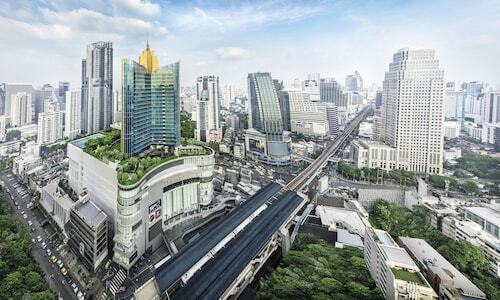 CentralWorld Shopping Complex and Erawan Shrine are also within 10 minutes. Ratchaprarop Station is 10 minutes by foot and Chit Lom BTS Station is 12 minutes. 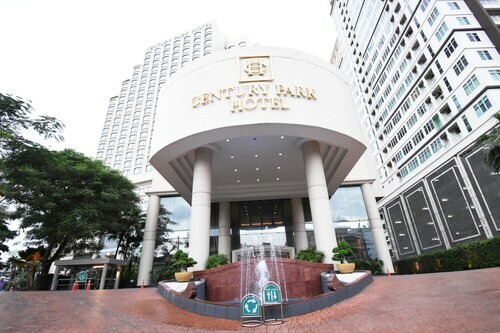 Located in Bangkok City Centre, this luxury hotel is within a 10-minute walk of Pantip Plaza, Platinum Fashion Mall, and Pratunam Market. CentralWorld Shopping Complex and Sea Life Bangkok Ocean World are also within 15 minutes. Ratchaprarop Station is 11 minutes by foot and Rachathewi BTS Station is 11 minutes. Located in Ratchathewi, this hotel is within 2 miles (3 km) of Victory Monument, Pratunam Market and Platinum Fashion Mall. 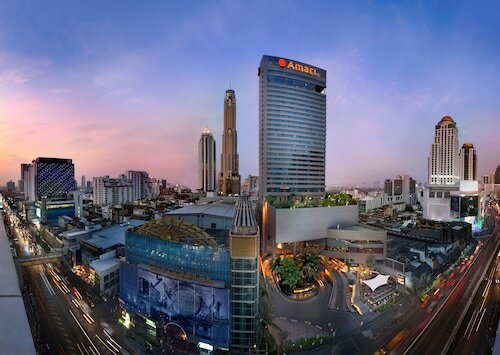 CentralWorld Shopping Complex and Pantip Plaza are also within 1 mile (2 km). Victory Monument BTS Station is 11 minutes by foot and Ratchaprarop Station is 11 minutes.